Washington, DC – U.S. Senator Charles E. Schumer, Chairman of the Joint Congressional Committee on Inaugural Ceremonies (JCCIC), has announced on behalf of the joint committee the selection of the 2013 Inaugural theme. “Faith in America’s Future” commemorates the United States’ perseverance and unity and marks the sesquicentennial year of the placement of the Statue of Freedom atop the new Capitol Dome in 1863. When the Civil War threatened to bring construction of the Dome to a halt, workers pressed onward, even without pay, until Congress approved additional funding to complete the Dome that would become a symbol of unity and democracy to the entire world. The official Inaugural Program, Luncheon, and other activities will reflect the theme. On March 4, 1861, when Abraham Lincoln took the oath of office, the half-built dome epitomized a nation being torn in two. Slowly and steadily, work continued on the massive dome during the tumultuous years of the Civil War. Skilled and unskilled workers, including African Americans who began the project enslaved and continued as free labor following the D.C. Emancipation Act of 1862, performed arduous tasks such as operating machinery at dangerous heights to hoist the heavy cast iron pieces into place. The JCCIC is responsible for the oversight and planning of the Inaugural ceremonies on the U.S. Capitol grounds. The Joint Committee was authorized by S. Con. Res. 35, which passed the Senate on March 1, 2012, and the House on March 5th. Members of JCCIC are appointed by the Vice President and the Speaker of the House. In accordance with tradition, the Senate representatives are Majority Leader Harry Reid, Rules Committee Chairman Charles E. Schumer, and Rules Committee Ranking Member Lamar Alexander. The House members are Speaker John A. Boehner, Majority Leader Eric Cantor, and Democratic Leader Nancy Pelosi. S. Con. Res. 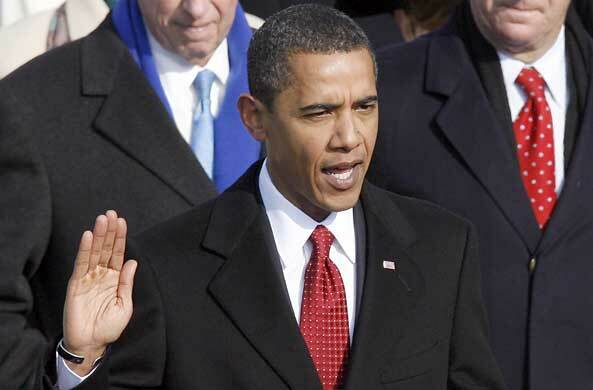 35 established the date of the 2013 Inauguration as Monday, January 21, 2013, since January 20, 2013 falls on a Sunday. This is the seventh time in U.S. history that the constitutionally mandated Inauguration date has fallen on a Sunday. The last time was President Ronald Reagan’s second Inauguration in 1985. When this occurs, the public ceremonies traditionally are held on Monday. In addition, January 21, 2013 is Martin Luther King, Jr. Day. It will be the second time that this federal holiday has coincided with a Presidential Inauguration. The first was President William J. Clinton’s second Inauguration in 1997.